Oxygen is vital for most organisms but may also be the source of numerous diseases. Hypoxia is a condition in which the body is deprived of oxygen. Anemia, carbon monoxide poisoning, heart attacks, high altitude, and injury can all result in a decrease of oxygen supply to the body. The organs most affected by hypoxia are the brain, liver and heart. Oxygen deprivation can also lead to an increased release of free radicals including reactive oxygen and nitrogen species that damage cells and are implicated in the aging process, cancer, cardiovascular and neurodegenerative diseases. We have previously reported on Hypoxia-related proteins display lethal teamwork in supporting malignancy. Antioxidants supplied via nutrient intake can interact with free radicals to delay or prevent cellular damage. 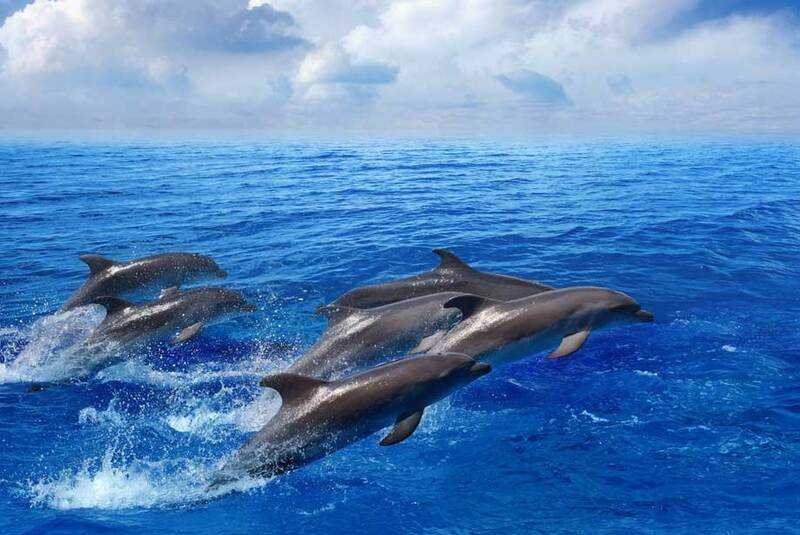 Dolphins and other aquatic mammals can survive extended periods of time during long dives without oxygen by restricting blood flow to their kidneys, liver, lungs and heart to divert more oxygen to the brain. When aquatic mammals resurface, oxygenated blood flow is restored without any organ damage. Do aquatic mammals hold the key to protection against hypoxia and oxidative stress associated diseases? In a recent study, researchers performed simple proteomic analyses of bottlenose dolphins and human serum samples in order to study metabolic syndrome. Metabolic syndrome is the name for a variety of risk factors that increases the risk for diabetes, heart disease and stroke. Managed dolphins survive longer than those in the wild but start to develop insulin resistance and fatty liver disease similar to metabolic syndrome in humans. High adiponectin levels were found in managed dolphins with metabolic syndrome due to its role in glucose storage during feeding. Remarkably high Vanin-1 levels were identified in wild dolphins that correlated with decreased liver function. Vanin-1 is a liver enriched oxidative stress sensor implicated in many metabolic pathways. These data suggest that vanin-1 provides protection against metabolic syndrome and possibly damage from hypoxia and re-oxygenation of resurfacing after diving. Further study is needed to see if this could be translated back to human medicine. Enzo Life Sciences provides a wide variety of products for your Cellular Analysis, Metabolism and Personal Care research needs. Our product portfolio provides kits, probes, reagents and libraries for your Oxidative Stress research needs. We offer a highly sensitive ROS-ID® Hypoxia/Oxidative stress detection kit that is designed for functional detection of hypoxia and oxidative stress levels in live cells (both suspension and adherent) using fluorescent microscopy or flow cytometry.